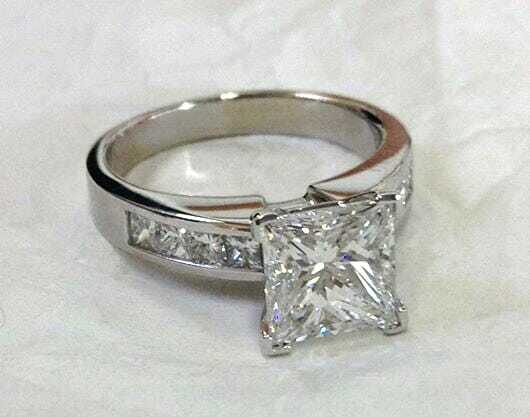 Buying engagement ring is not an easy task, especially if you trying to keep it as a surprise form your better half. That is why it’s good to take advice from a good friend that done it already or from someone in the industry. It’s really important that the advice will be from a non-commission person as that way you will get the best option to match your needs. Best way to start is with some research as you are going to spend a large sum and therefore will make it easier if you know what you are buying. Therefore, look around in some of the jewellery shops nearby or do some research online to familiar yourself with price and terminology. You need to know what styles of rings are available (solitaire, halo, pave, three stones etc) and what the available metal (white gold, yellow gold, platinum etc) types are. Each style or metal type will have plus and minus and that is why it’s really important to know before buying. Centre diamond – there is a lot to take into account when considering which diamond to go with and that is why the research is really important. The main things you need to take into account will be the diamond size (carat), colour, clarity and the most important thing is the cut of the diamond. GoldeNet Australia offers a free one on one consultation in our Brighton office or over the phone (1300 361 873). Click here to schedule a time. All of our consultant are non-commission and therefore will provide you the best option to match your budget and specification.